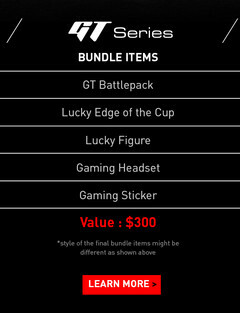 New purchases of a mainstream GE, flagship GT, or super-thin GS will include a free gaming mouse, gaming headset, backpack, and more for a limited time. Summer is almost over for most students in North America and MSI is taking advantage of this time of year to lure in more gamers. 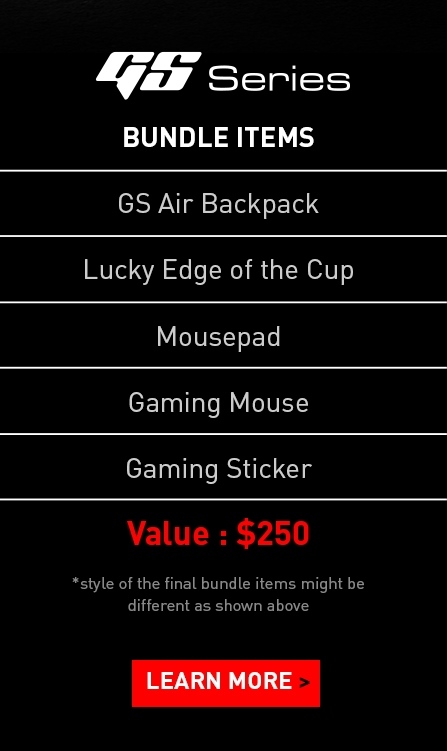 From now until September 30th, users who purchase a new GE, GS, or GT series notebook will receive a gift box containing a backpack, mousepad, wired mouse, headset, and a figurine of Lucky the Dragon. 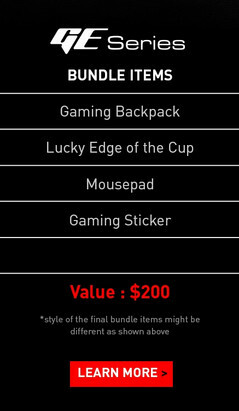 Not all of the above will be bundled together depending on the purchased notebook, however, as detailed by the promotional poster below. 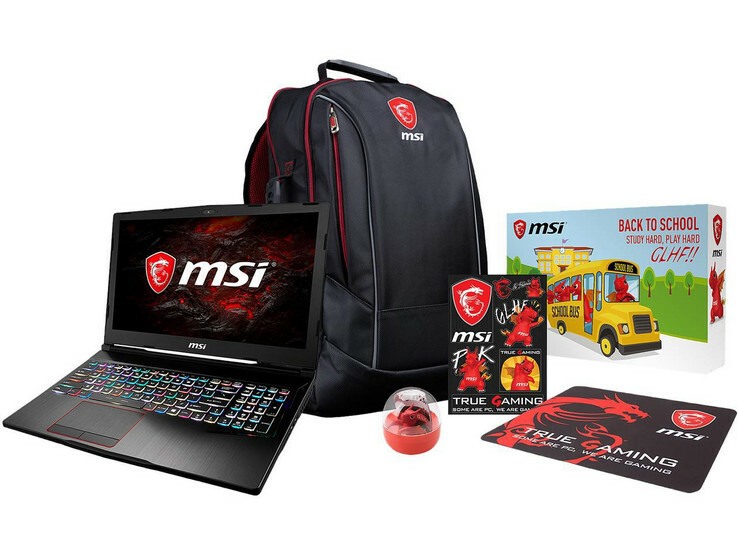 The promo comes just weeks after MSI's original back-to-school deal that ended on June 16th. Whereas the older promo applied to the GL, PE, GP, GS, and GT series, this newer one applies only to the higher-end GE, GS, and GT families. 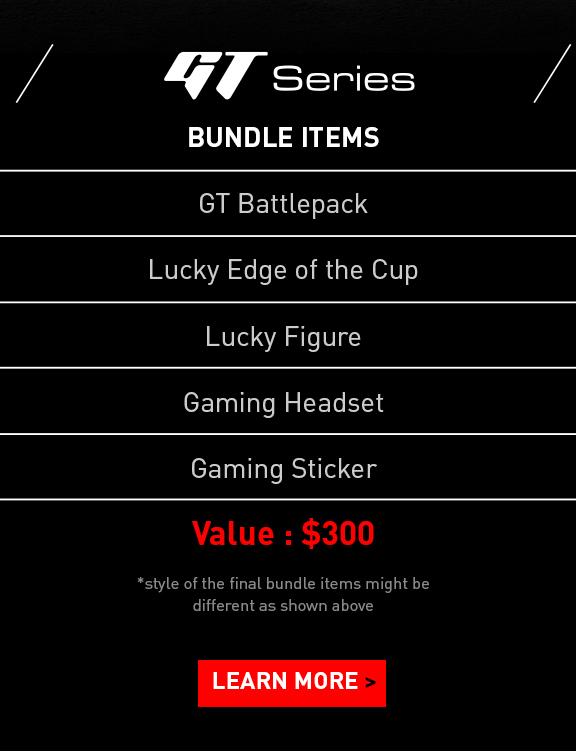 The GT series is MSI's bread and butter and so it's unsurprising that more freebies are included with the purchase of a GT instead of a GE or GS. Unfortunately, MSI is providing no details on the thrown-in extras such as the size of the backpack, size of the mousepad, or any specifications for the headset or mouse. The devil is in the details especially to gamers. 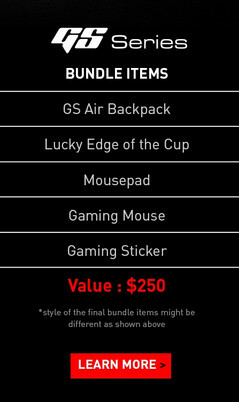 Both the GE and GT series house some of the best 17-inch gaming notebooks so long as size and weight aren't issues. The GS notebooks, while incredibly thin and lightweight, will indubitably run louder. See our reviews on some existing GE, GS, and GT notebooks below for more information on the series.